I have been using Ibiza Blend Beard Oil for the past few days, its a very light oil that has a blend of Sweet Almond, Grapeseed, Jojoba and Vitamin E carrier oils as a base and a mix of three essential oils, that is all the information that Scott who created the oil is willing to share! Now I’m not able to pick up individual scents of oils like some snooty wine taster with his nose in an over sized wine glass, I wish I could but it seems that my nose is just big and its size serves no purpose. I can pick up Lavender though and one minute I think I get a whiff of peppermint and the next I’m not sure, what I can tell you though is that this is a very fresh feeling beard oil that does a decent job in making my beard look good. 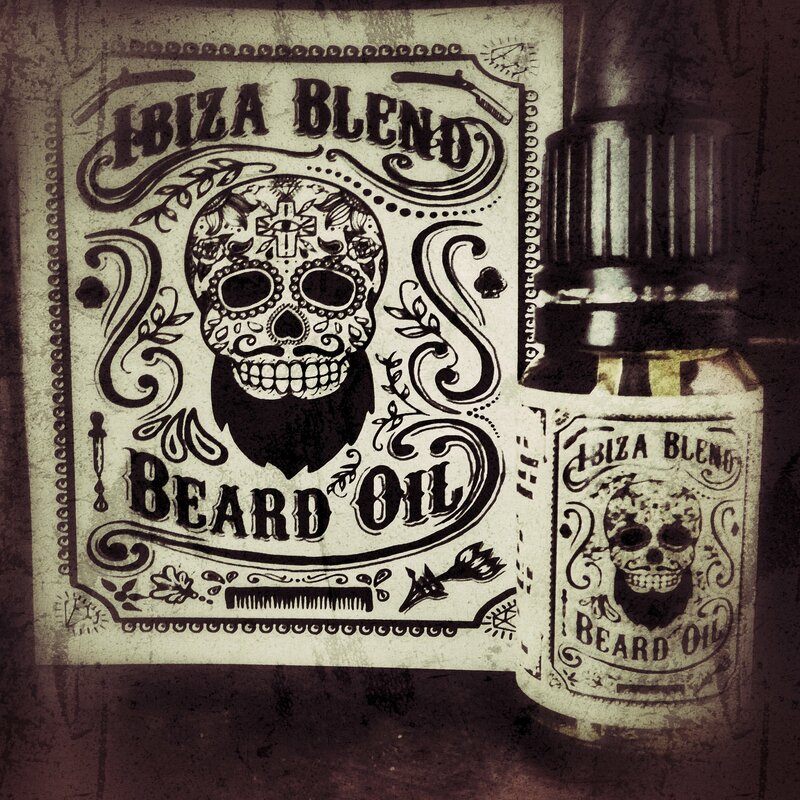 Exquisite Ibiza Blend Beard Oil. Crafted by hand in Ibiza with only natural ingredients to enhance a well cultivated beard for all discerning gentlemen. All ingredients are natural organic and we take care hand preparing it here on the special island of Ibiza for ourselves and… you. The ingredients are a meticulous blend of Almond Oil, Grape seed Oil, Jojoba Oil, Vitamin E Oil and 3 separate essential oils for it’s unique aroma and to give you a healthy, nourished and manageable beard. My mission is to share my love for my beard in it’s care and appearance with others who take time to nurture and care for their own. I made this oil myself and will continue to do so. This is my blend, my scent and I’m very proud of it. I truly hope you enjoy too. The oil is available from the website in 10ml or 30ml bottle with a glass dropper dispenser and you can follow on Instagram and Facebook. ← What is in my beard oil and why?